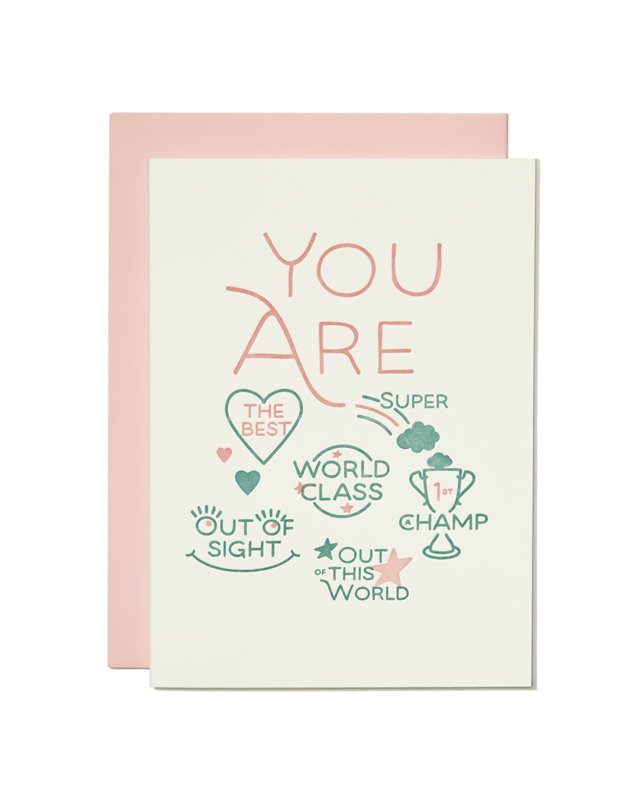 Tell someone they’re great with this letterpress version of a pat on the back. You’ll be glad you did! 118lb Reich Savoy, Natural, 100% cotton, FSC-certified and acid free.